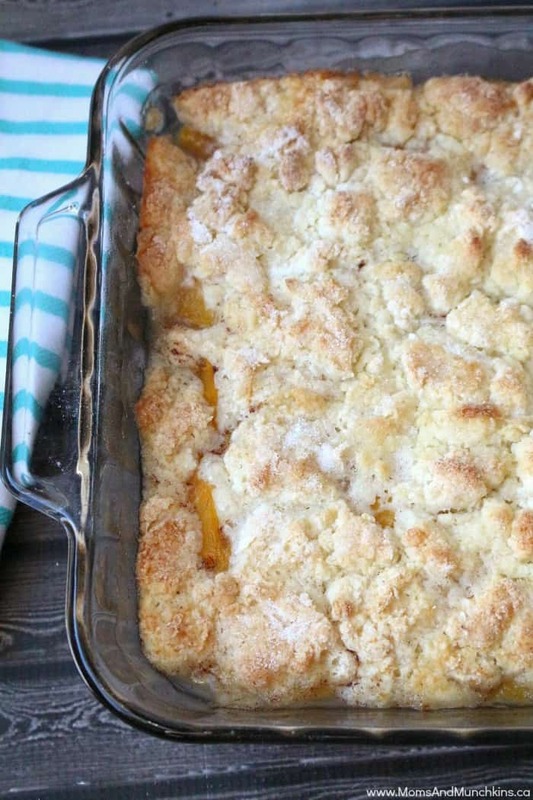 It was my mom’s birthday yesterday and she requested this delicious peach cobbler recipe instead of a traditional birthday cake. It’s a family favorite around here! You could also make this with other fruit (like apples) but the peach is my favorite. This tastes delicious both warm or cold. If serving warm, you may also want to serve it with scoops of vanilla ice cream. This could be served warm with scoops of vanilla ice cream. In a large bowl, combine sugar, cornstarch and cinnamon. Add peaches (with about half the juice from the cans) and toss well to coat. Pour peach mixture into baking dish. For the topping, combine the flour, ⅓ cup sugar, baking powder and salt in a bowl. Cut in the butter until the mixture resembles crumbs. Stir in milk until moistened. Drop topping (by spoonfuls) on top of the peach mixture. Sprinkle remaining sugar on top. Bake for 30-35 minutes or until toothpick inserted into topping comes out clean. For more delicious ideas, visit our Easy Recipes & Family Meals page. We’re always adding new recipes! Never miss a delicious update by following us on Facebook, Twitter, Pinterest, and Instagram. 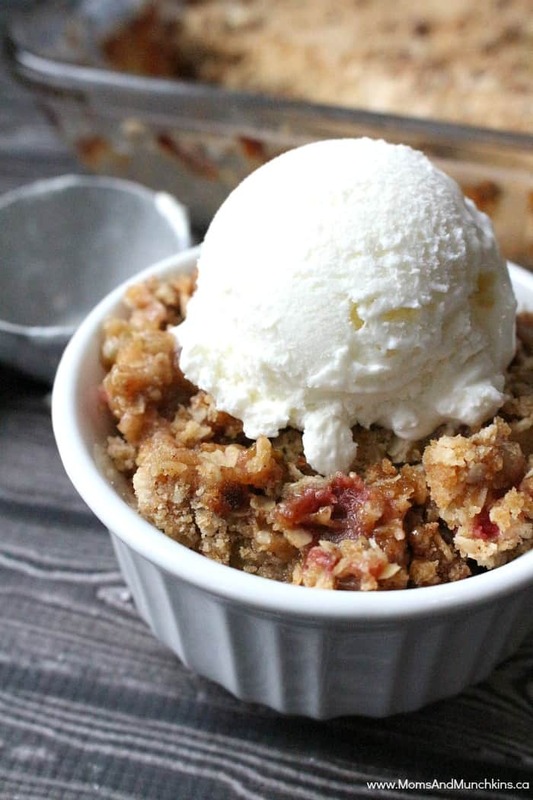 For another family favorite dessert recipe that uses fruit, check out this Apple Rhubarb Crisp. 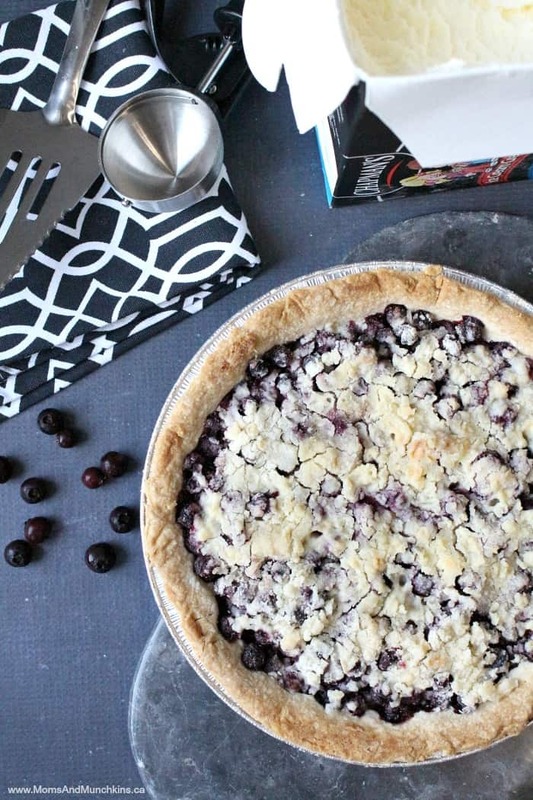 This Saskatoon Berry Pie recipe is another popular one around here. If you can’t find Saskatoon berries, most berries or fruit would be a delicious alternative in this easy pie recipe. This looks so good! I love peach cobbler. And using canned peaches makes it so much easier. I found you via The DIY Inspired Linky Party. Thanks! Pinning! I love the idea of cobblers but am always hesitant to make them. This looks yummy and I’m glad EASY! 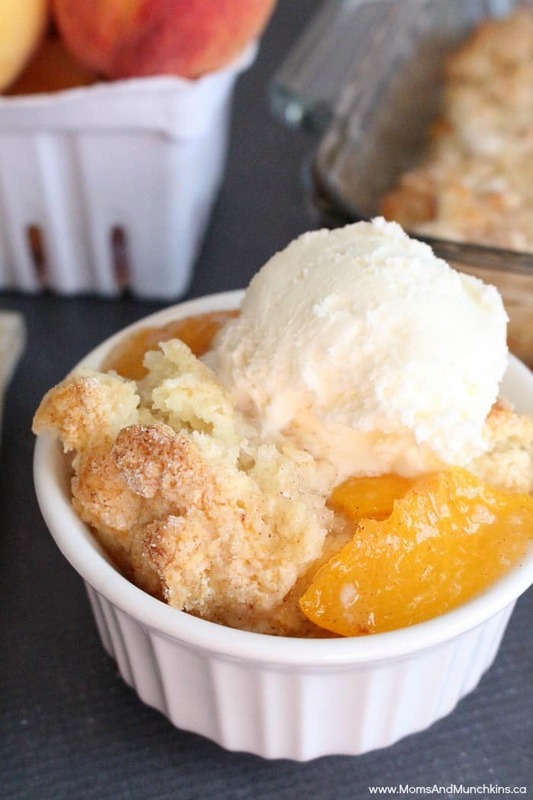 Nothing beats a great cobbler…pinned! Hi Cheryl, I’m visiting from the Creativity Unleashed Party. 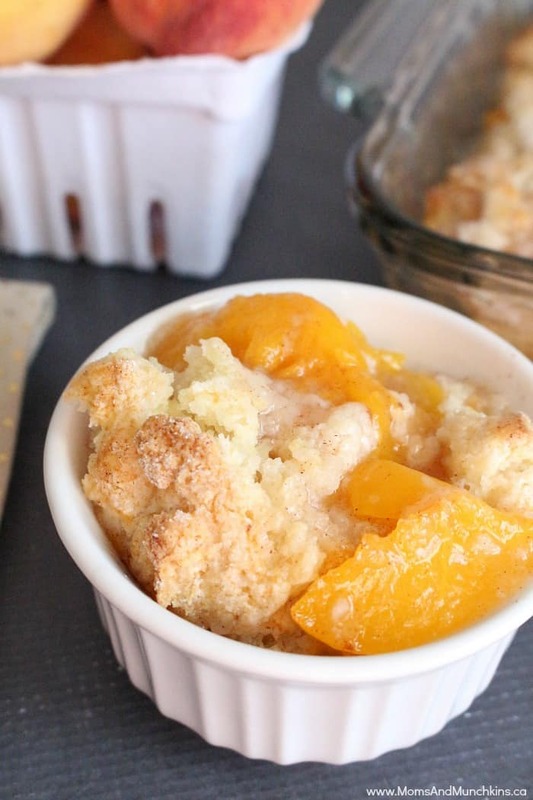 I pinned your delicious recipe so I can come back and make this peach cobbler with the peaches we picked while on vacation last August. I can’t wait to pull a bag from the freezer and enjoy this recipe!